Our One-On-One Approach To Optometry Makes Dr. Anderson And The Keeneye Family Vision Team The Eye And Vision Care Providers Of Choice In Central Utah. Dr. Anderson Is An Optometrist. He offers the Following Services: Comprehensive Eye Exams, Diabetic Exams, Contact Lens Exams, Glaucoma Testing, Cataract Pre And Post-Operative Care And More. 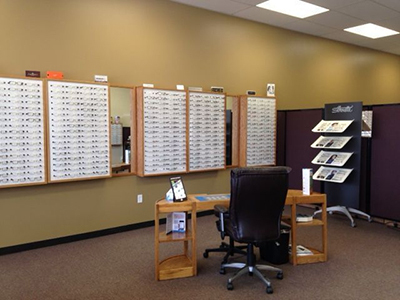 For A Complete List Of Services, Or To Schedule An Eye Exam, Call One Of Our Vision Testing Clinics Today.